Uncertainty CNC machining cost is very important factors to our manufacturer. Most manufacturing industries are consistently looking for the most suitable ways to improve production and machine tool availability, and improving component accuracy at the same time. However, CNC production machines are being faced by a high level of uncertainty, Thus their accuracy has become a significant factor that greatly determines these components quality. For cost-effectiveness of the CNC machine, you need to contact a company with a high reputation so as to get the highest improvement from the CNC production machine, and reduce some of uncertainty cnc machining cost. There are various factors that contribute to uncertainty regarding CNC machining cost. You may find your machine producing intolerant parts thus maintaining component accuracy becomes problematic. The following are the various sources of uncertainty. Failure to distinguish among tool maintenance creates problems with cost justifications. This follows the fact that a machine linked to any faulty responsibility may not be easily detected, since there is no solid evidence to link it with the loss of production. This problem can even lead to the production of some parts which can be seen as accurate, only to realize later that they are non-conforming as part of the quality control processes. Imperfect parts and errors in accuracy make it hard to achieve tolerance on manufactured components. The manufacturer is assured of tolerance only if the sum of all inaccuracies sources is less than the total tolerance. However, this has contributed to the heated discussion of machine accuracy, as it only represents one component of the summed error. The solutions and budget are derived by adjusting compensations in other areas. For instance, compensations are made on small offsets to the CNC work-piece and programs, fixtures or alignments. We now exist in a manufacturing age characterized by limited resources and rising costs of production. Sometimes, machined process decisions can be based on probabilities, which results in standard deviation, thus leading to a significant loss. Modern machinists have found themselves implementing statistical process control (SPC) by gathering and analyzing data, in order to determine the best machining process for their workpiece. The machinists may land on a machining process that lowers production quality and reliability, which can even raise the operating costs. To reduce CNC machining costs, there is a great need to state the measurement uncertainties with all measurements including machine tool testing results. The problem now arises from uncertainties estimations in positioning measurements with linear scales and laser interferometers, for straightness measurements with straightedge and pitch measurements. This kind of uncertainty combines with repeatability of the machine tool, temperature effects, and measurement device to result in larger uncertainties. This uncertainty is far greater than that of the device alone. Despite the fact that uncertainty can’t be avoided, one can design the machined process in such a way that the uncertainty is reduced. If the machined process is inspected first, one can easily determine if it’s fit for the workpiece. The gage design eliminates the need for the process policing on an ongoing basis. Where validation is needed, one can use CMM inspection of the finished parts for the provision of independent validation. 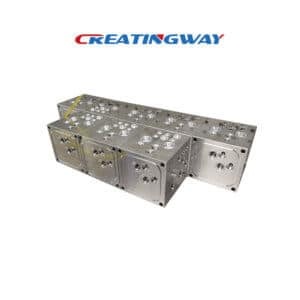 This way, you will be reducing the uncertainty CNC machining cost in the process. Our company provides you with a complete list of the material to improve your certainty regarding CNC machining cost. To ensure that you have met your desired expectations, you can call one of our application engineers and we shall grant you with advice. When you provide us with your CAD model, we have a quoting tool that calculates the parts that can be machined and then rejects the rest. Our company also has highly skilled and trained machinists. Examples include the company’s electrical and milling machinists. Due to the quick evolution of our company, the machinists act as long-time learners to ensure that their skillsets are continuously maintained on the leading edge. We understand that cost-effectiveness improves with the competence of the CNC machinist.